Why are there sponsors at Confirmation? According to the Code of Canon Law, the role of the Confirmation sponsor is to take care that the person confirmed behaves as a true witness of Christ and faithfully fulfills the duties inherent in the sacrament of Confirmation (cf. no. 892). What is a religious relic? A religious (or "sacred") relic is a body of a saint (or a part of the body of a saint), something used by the saint, or something touched to the body of a saint. Catholics venerate relics because relics give us the opportunity to feel close to people we highly admire and to give such people the honor they deserve as saints in heaven. We also believe that God can move through a relic and perform miracles with it, if He so desires. As you pray a decade of the rosary you contemplate one of the mysteries in the set until you have completed the entire rosary. On paper, I'm sure this all sounds very confusing! The best way to learn how to pray the rosary is to pray it with others, in a group. Here at Blessed Mother there is a group that prays the rosary Monday-Thursday, at 4 PM, in the church. If you have always been curious about the rosary or ever wanted to learn how to pray it, then please join them! 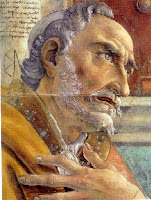 Idon't have time for a large post (even though St. Augustine is most deserving of one), but I want to at least point you in the direction of some resources that you can use to learn more about Augustine on his feast day. The Catholic Defense Directory has an entire entry devoted to St. Augustine, with links to articles that approach him from almost every angle. The Directory is currently being imported into a new format, so it's a little ugly right now -- but the links are still there, and I think they are very informative and helpful. Also see my two blog posts on Augustine: "Did Augustine Invent Original Sin?" and "Reclaiming Augustine". St. Augustine, Doctor of Grace .... ora pro nobis! Last year and the year before, I had a series of posts where I would provide short answers to common questions that people have about Catholicism. I have answered tons of questions since then, but never posted any of it on my blog. Now seems as good a time as any to continue that series and make some of this material available to more people. the parishioners of the church where I am the Director of Religious Education. If you have a question, please let me know. For the previous parts in this series, see the "Catholic Q-A series" blog label. What is the name of the prayer of the Divine Office that is said at 3 PM? What does the word “catechism” mean? A catechism is a summary or compendium of doctrine about faith and morals. Catholic catechisms are usually organized in 4 parts (Creed, Sacraments, Morality, Prayer) and may or may not be in question and answer format. The word “catechism” comes from the Greek word katekhein, which means “to resound” or “to echo down.” This is fitting because that’s what a catechism does: it takes the teaching of Christ and the apostles that has “echoed down” through these many generations and passes it on to us. What is the name of the place where the priest lives? Why does the bishop tap the person to be confirmed on the cheek or ear? Since the reform of the Rite of Confirmation in 1971, this is no longer done. In the older rite, the bishop would strike each candidate on the cheek, symbolizing that the Christian is now a soldier for Christ and must endure suffering and the persecution that comes from conflict with the world. This was supposed to be done gently, although I’m sure there are many parents and grandparents among us who may recall a rather robust “reminder” by the bishop of the trials of the Catholic life! Why did the priest face away from the congregation before Vatican II? The orientation of the priest in the Latin Mass is not “away from the congregation” but towards the Lord. When the entire liturgical assembly -- both priest and people -- are facing in the same direction, this communicates the reality that, in the Mass, we are all together offering our praise and worship and all that we have to the Father, and the priest is offering the Sacrifice of Christ to the Father on our behalf. Why Are There So Many Different English Translations of the Bible? Short answer: Because not all bibles have the same list of books, because there are different ways to translate the text, and because translators don’t always have the same manuscripts at their disposal. Long answer: There are three reasons for this. First, Protestant bibles don’t have the same list of books that Catholic bibles have. Specifically, they lack 7 books from the Old Testament: Tobit, Judith, Wisdom, Sirach, Baruch, and 1st and 2nd Maccabees (as well as portions of Esther and Daniel). The Protestant reformers removed these books when they left the Catholic Church in the 1500's. So, this is why you have “Protestant” and “Catholic” versions of the bible. Secondly, translators don't always agree on the best way to translate the Bible. Some prefer a literal translation, where every word is translated into the English word that directly corresponds to it. Others prefer a "dynamic equivalence" translation, where sentences are paraphrased in order to communicate their overall meaning and to increase readability. Even among these two groups, there are differences of opinion regarding the best way to render a word or paraphrase a sentence. Finally, the various English versions of the bible also differ based on the manuscripts and source material that were used. For example, the Douay-Rheims version is an English translation of the Latin Vulgate, which was St. Jerome’s Latin translation of the original Greek and Hebrew. The King James version is largely a revision of an earlier English translation called The Bishop’s Bible, with the original Hebrew and Greek consulted when necessary. Newer English versions, such as the New International Version and the New American Bible, benefit from the Greek and Hebrew manuscripts found among the Dead Sea Scrolls, whereas translators of the older versions did not have these at their disposal. All of this comes together to contribute to the great number of English versions of the Bible that we have today. As a Catholic, the best thing to do is to have several Catholic translations available. Choose one that you like the best and use that as the bible you turn to the most, but have the other ones on hand in case you want to further investigate a passage. A lot of times, one translation will reveal a new meaning to a passage that another version does not, because it is translated differently. For more information about this, see the "Bible Translations Guide" from Catholic Answers. One common objection that Protestants raise against Catholicism concerns the practice of addressing a priest as "father." According to such critics, Jesus prohibited such a thing when He castigated the scribes and Pharisees, who "love the place of honor at feasts and the best seats in the synagogues, and salutations in the market places, and being called rabbi by men" (Mt 23:6-7). Jesus went on to say, "call no man your father on earth, for you have one Father, who is in heaven" (Mt 23:9), which said critics interpret to be a clear rebuke of Catholic piety. There are two reasons why this interpretation is erroneous. “Some are attracted to the priesthood by ambition and love of honours; while there are others who desire to be ordained simply in order that they may abound in riches, as is proved by the fact that unless some wealthy benefice were conferred on them, they would not dream of receiving Holy Orders. It is such as these that our Saviour describes as hirelings, who, in the words of Ezechiel, feed themselves and not the sheep, and whose baseness and dishonesty have not only brought great disgrace on the ecclesiastical state, so much so that hardly anything is now more vile and contemptible in the eyes of the faithful, but also end in this, that they derive no other fruit from their priesthood than was derived by Judas from the Apostleship, which only brought him everlasting destruction” (Part 2: Sacraments, Holy Orders, “Right Intention”). So, no disagreement on that point. What I do take issue with is the notion that Jesus was somehow making a blatant prohibition against any type of spiritual fatherhood on earth, except for that which exists between man and his God. It is important here, as it is with so many disputed passages from Scripture, to read Jesus' words in context. When He says, "call no man your father on earth," He is not railing against fatherhood per se. Instead, He is speaking out against those who seek the position of father for the honor that it brings and who, once having the position, don’t live it humbly and authentically. The entire chapter 23 from Matthew's Gospel is a rebuke of the pride and hypocrisy of the scribes and Pharisees. Jesus repeats the phrase, “Woe to you, scribes and Pharisees, hypocrites!” six times in this chapter. It is within this larger rebuke that we find Jesus’ words about calling no man rabbi, father, or master. He is using hyperbole in order to emphasize the Fatherhood of God above the fatherhood of any man and to highlight the unworthiness of the scribes and Pharisees to receive the titles their position affords them. If one takes this passage too literally in order to condemn Catholicism, he finds himself in the awkward position of having to condemn Paul too. After all, Paul addressed his accusers by saying, “Brethren and fathers, hear me” (Acts 22:1; so did Stephen, cf. Acts 7:2 ). He even went a step further and called himself a father to the churches he formed and guided through his letters (cf. 1 Cor 4:15; Phil 2:22; 1 Thes 2:11). They were his “children” (cf. 2 Cor 12:14; 1 Thes 2:11). Timothy was Paul’s “beloved son” and “true child in the faith” (cf. 1 Cor 4:17; Phil 2:22; 1 Tim 1:2,18; 2 Tim 1:2), as were Titus and Onesimus (cf. Titus 1:4; Philemon 1:10). Now, considering all this, is Paul forsaking the command of the Lord here, or is he witnessing to a true spiritual fatherhood that can exist on earth? I think the answer is clear. At this point, it is often argued that, yes, Paul was a spiritual father to the churches, but he never took up the title of "Father." He never signed any of his letters "Father Paul" and no one is recorded as referring to him as "father." But, now I think we are splitting hairs. 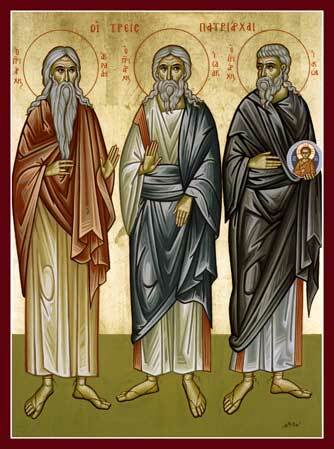 Paul truly possessed a position of spiritual fatherhood on earth. This is an undeniable fact, as the passages previously cited clearly show. Now, do our critics really expect us to believe that Paul would call Christians his "children," but they would never call him their "father"? He was TRULY their father. There's nothing wrong with calling someone what he actually is. Jesus Himself refers to men as "fathers" numerous times in the Gospels (cf. Mt 10:21, 35, 37; 15:4-5; 19:5, 19, 29; 21:31; Lk 6:23, 26; 11:11, 47-48; 15:12, 17-18, 20-22, 27-29; 16:27; Jn 6:49, 58). Yet, if we are to interpret Mt 23:9 the way our critics would have us interpret it, then when Jesus said, "Call NO MAN father," He meant that I shouldn't even call my mother's husband "father"! The only way to reconcile Jesus' words here with apostolic practice and that of Christ Himself is to acknowledge that Jesus is using hyperbolic language here in order to emphasize the importance and dignity of God's fatherhood above that of any other man. If you take him too literally, you are forced to come to a whole host of absurd conclusions. Now, in Part 7 you'll recall that I listed several examples in the OT where God commands that statues and images be made. This was to demolish Kenneth's claim that the Commandment against graven images was a blanket prohibition. It is here in Part 8 where we witness his plunge into the realm of absurdity. There's a section here where we seem to be talking past each other, so instead of breaking this up into any more parts, I'm just gonna let it ride. This post concludes our debate. No one else has tried to refute my arguments. That's like saying "It's ok to kill your enemy, because although God commanded 'Thou shalt not kill,' He told Israel to kill the Caananites." Occams Razor applies here. The simple reading concludes they were not to make images. Clearly implied is "unless God commands it." I don't think you understand. If the creation of ANY statue or image is a grave sin, then in no way could God command that such a thing be done. "God cannot be tempted with evil and he himself tempts no one" (Jas 1:13). But, He DID command that statues and images be made, and in his holy places no less, so there must be a circumstance in which images are allowed, and a circumstance in which they are not. They ARE allowed when they facilitate worship (as they are made in the OT in the places where He is worshiped) and they are NOT allowed when the things themselves are worshiped, as evidenced by the proximity of the prohibition against images to the Commandment to worship God and Him alone. The entire context of the injunction against graven images is God communicating His desire that people worship Him and Him alone. THAT is in fact the simple reading. But, He DID command ...that they were to kill the Canaanites, and in the promised land no less, so there must be a circumstance in which killing is allowed, and a circumstance in which it is not. It IS allowed when they facilitate the killing of one's enemies (as it is done in the OT in the places where He killed the Canaanites) and it is NOT allowed when they are not your enemies, as evidenced by the proximity of the prohibition against killing to the Commandment to love your neighbor as yourself. The entire context of the injunction against killing is God communicating His desire that people kill only their enemies. THAT is in fact the simple reading. So, we're in agreement? I'm confused. No, I was just showing you that my analogy applied, using your own example. I can't imagine with my knowledge of God's Word, that I would ever be able to reconcile the MAKING of images of Roman Catholic personalities, let alone worship or venerate through them. It absolutely amazes me that a majority of protestants think manger scenes are okay! Maybe it will help if I say what I mean a different way. The reason that the builders of the holy places were allowed to create images of cherubim, lions, oxen, open flowers, and palm trees was not simply b/c God commanded them to but b/c what He was having them do was not contrary to His law. God does not command people to do what would otherwise be against His law. God is not above His law. He is the author of the Law and can only be utterly faithful to it, since it is an expression of His Will. Thus, there must be a reason why the creation of those statues and images was not against His law (otherwise He would not have commanded them to be made). That reason is b/c the images to be created were NOT meant to be worshiped and the people who saw them would not be tempted to worship them. These images in the holy places don't hinder worship of the One True God, they facilitate it. The holy places were covered w/ heavenly beings as a reminder that in the holy places, the people encounter their Heavenly Father. In the holy places, the saints on earth worship together w/ the saints in heaven. The very fact that the bronze serpent was not destroyed UNTIL THE PEOPLE BEGAN TO WORSHIP IT shows that it is WORSHIP OF THE IMAGE that breaks God's law, not the mere creation of it. The only image that Catholics worship is Jesus Christ, "the image of the invisible God" (Col 1:15). I'm perfectly willing to let the others judge now. God proscribed the "making" of images. It is not a "moral" law, so God is not unrighteous to command images which serve His purposes and the counsel of His will, to be made. It is MUCH wiser of God to forbid ALL images except the ones He wished to be made, than to allow the making of images that correspond to certain parameters. If given ANY license, the people would have found "loopholes" just as the RCC has been able to do with the arguments you have despite God's clear sufficient Word. ‎"It is not a moral law"? Wow, that's a first. As far as I'm concerned, the Commandments of God are the foundation of the moral law. God had the people create images for the Holy Places b/c such creation was not against His Will, which was to prevent idol worship. Yet, you would have us believe that God actually commands people to do things that would otherwise, without the command, be wrong. Like I said before, God is not above His law, for it is an expression of His Will. If it is wrong for man, it is wrong for God, for rightness and wrongness are determined by His Will. This is an inescapable fact, which you are now trying desperately to avoid by redefining which Commandments are moral and which ones aren't. It's clear to me (and I hope, by now, to the reader) that you would sooner embrace the absurd then accept the fact that you are clearly in error. Yes, this debate has clearly run its course. PS: For the previous installments in this debate, see Parts One -- Two -- Three -- Four -- Five -- Six -- Seven. In the commandment about images, God says to not make them nor bow down to them. In this case, the RCC is not just violating the spirit of the commandment, but the letter also. In your post on the commandments, you said the RCC does not condone such things, but aren't you really circumventing the issues by redefining them with word games? When it comes right down to it, when you remove "worship" from the running, veneration would easily supplant it. Give an example of someone "venerating" someone or something in the Bible. We should be able to find a suitable replacement for "venerate" in at least 6,000 years of Bible history. God's commandment was against creating images and statues WITH THE PURPOSE OF WORSHIPING THEM. If His commandment was a blanket prohibition against ALL images, then you have a lot to answer for. After all, throughout the OT, we see God commanding that a whole host of statues and "graven images" be made. He seems to be particularly fond of angel statues and images of angels. He commanded two golden statues of cherubim be added to the top of the Ark of the Covenant (cf. Exo 25:18-22). Cherubim were also woven into the curtains that comprised the Tabernacle where the Ark resided (cf. Exo 26:1, 31). Solomon's temple was filled with statues of cherubim and images of various animals. Cherubim were carved into the altar (cf. 1 Chron 28:18-19) and two statues of cherubim, carved out of olivewood and overladen with gold were placed in the inner sanctuary (cf. 1 Kings 6:23-28). Verse 29 goes on to say, "He carved all the walls of the house round about with carved figures of cherubim and palm trees and open flowers, in the inner and outer rooms." On the ten bronze stands were images of lions, oxen, cherubim, and palm trees (1 Ki 7:28-29, 36). The new temple that Ezekiel describes is covered from top to bottom with carved images of cherubim and palm trees (cf. Ezek 41:17-20). Of course, there is also the bronze serpent, which God commanded Moses to make (cf. Num 21:8-9). Considering all this, I ask you: Why in the world would God command that images and statues adorn His holiest of places -- the Ark, the Tabernacle, the Temple, the Holy of Holies -- the places where God made Himself present among His People, if the mere creation of an image or statue was a violation of His Commandments? If we go by your interpretation, we are forced to say that all of this is gross idolatry, and the Lord Himself commanded it to be done. PS: For the other installments in this debate, see Parts One -- Two -- Three -- Four -- Five -- Six. In Part 6, we hear from "Terry" again. We first heard from him in Part 4 when he asked questions related to bowing down to someone or something. This time he has a general question about veneration. For the previous installments in this debate, see Parts One -- Two -- Three -- Four -- Five. Is there any biblical examples of veneration in the new testament? When did such acts begin? My main issue would be that there is no cleae teaching of this in the bible. You asked for examples of veneration in the NT. Now, veneration is giving honor (or you could say, respect) to another human being or thing. If you go back to my first comment in this thread, I listed 3 examples in the NT where such honor is commanded to be given. There are other examples too. In Acts we read that the people held the apostles "in high honor" (5:12-13). In his letter to the Romans, Paul instructs us to "love one another with brotherly affection; outdo one another in showing honor" (2:10). He also tells us, of the Body of Christ, that, "those parts of the body which we think less honorable we invest with the greater honor, and our unpresentable parts are treated with greater modesty, which our more presentable parts do not require. But God has so composed the body, giving the greater honor to the inferior part" (1 Cor 12:23-24). To Timothy he writes, "Honor widows who are real widows ... Let the elders who rule well be considered worthy of double honor, especially those who labor in preaching and teaching" (1 Tim 5:3,17), and again, "Let all who are under the yoke of slavery regard their masters as worthy of all honor, so that the name of God and the teaching may not be defamed" (1 Tim 6:1). Finally, he reminds us of the Ten Commandments when he tells the Ephesians, "Honor your father and mother" [this is the first commandment with a promise]" (6:2). Since bowing down to someone or something and imitating the lives of the saints are aspects of veneration, the examples I provided in my 2nd and 3rd post would also work. For Part 5 of this debate, I will be combining two short exchanges with "Joseph" and "Kenneth," since neither one is substantive enough in my mind to warrant its own blog post. For the other installments in this debate, see Parts One -- Two -- Three -- Four. if you bow before a created statue it is idolatry...A. the statue was created B. the person the statue represents is a created being.... unless you are going to tell me before God was Mary was there giving birth to him, in which case I would declare you to NOT BE A BELIEVER, because to come to God you must first believe HE IS and that he sent jesus to save all who would believe ON HIM... note there is no scriptural evidence that Miriam was even saved!!! and if she was there was nobody to do the pagan sacrements on her since your pagan sacremens were not implemented until the 4th century at least. Joseph, did you read a word I wrote? I've already proven that to bow before a created thing need not be equated with idol worship. Are you prepared to say that Lot, Joseph's brothers, Saul, Bathsheba, Nathan, Ornan, the entire assembly of Israel, King David, the sons of the prophets, and Nebuchadnezzar all participated in idol worship when they bowed down before created things? Would you charge Jesus Christ Himself with complicity in sin for making the members of one church bow down before another? Are you going to simply repeat your position over and over, or are you actually going to try to refute my arguments? And quit trying to change the subject to Mary. Your red herrings don't fool me. You're clearly grasping at straws here. Why don't you swallow your pride and admit you don't have an answer? List what you worship or venerate when it is an object in receipt of either. We worship the Lord and venerate the saints. Objects of the saints, such as statues or icons, do not themselves receive the veneration. They are simply visual aids that help us when we pray, just as Protestants are inclined to pray clutching a bible or a cross. An every day example of this sort of thing should explain what I mean. Let's say you live on one side of the country, your family lives on the other. You never get to see them, but you do have a picture of them on your bedside table. You may kiss it or touch it before you go to bed, as a way to say goodnight to your family and to express you longing for them. Your sign of affection isn't for the picture, it's for your loved ones depicted in it. Or, as another example, many people are wont to visit the grave of a deceased loved one. They may leave flowers there, or even spend a few moments in conversation with their loved one. The words and the flowers, they aren't for a piece of rock, they are for the one who now lives with Christ in Heaven. So it is with our veneration of the saints.